After completing her undergraduate education at the University of North Carolina at Greensboro with a B.S. degree in Public Health Education, Jessica worked in several medical office settings and as a Registered Behavior Technician providing in-home and in-office DTT/ABA therapy for children with Autism Spectrum Disorder. She then obtained her Physician Assistant training at Campbell University School of Health Sciences in Buies Creek, NC and her certification in August, 2017. 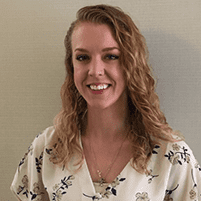 After working in an Urgent Care setting in Sanford, NC, Jessica sought a change to a more traditional Family Medicine setting where she could provide more continuity of care and preventative services and establish more relationship with her patients. Call for an appointment anytime! We accept most major insurances. Please see the full list of plans that we accept. If you do not see yours, please call our office to see how we can help. We will file out of network insurances but visit must be paid at checkout in full.